London 20 January 2011. The most comprehensive business case for accessible tourism in England launches today. 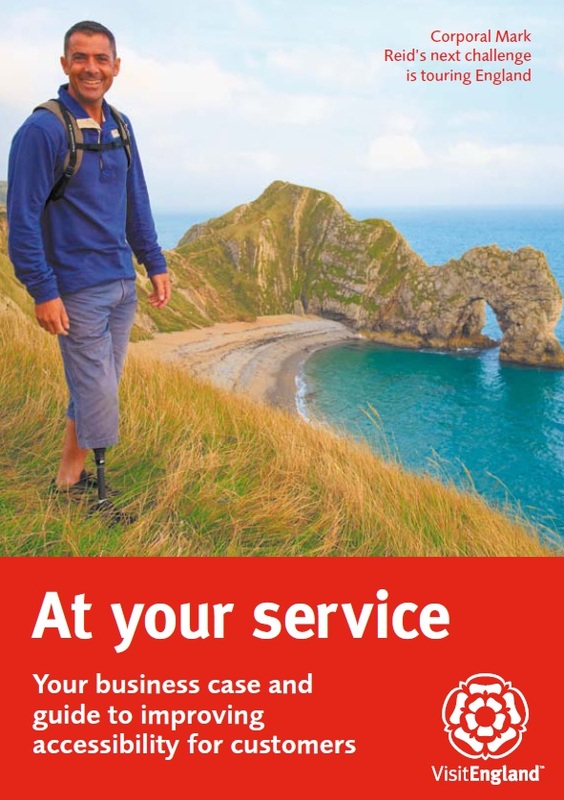 The booklet, entitled ‘At Your Service’, has been created through a joint partnership between the Government’s Accessible Tourism Stakeholder Forum and VisitEngland with the aim of inspiring tourism businesses to improve accessibility for customers in the lead up to the London 2012 Olympic Games & Paralympic Games. Around 11 million people in England have an impairment of some kind whether they are wheel chair users, have poor vision, hearing loss or learning difficulties. Overseas, there are potentially 78 million American and 75 million European disabled visitors, friends and family. For the first time, the real value of overnight trips in England by both UK residents and international visitors who have a health condition or impairment has been recorded. These combined figures reveal a lucrative market worth over £2 billion. Check policies are flexible. Can those visitors unable to stand in queues be fast-tracked? The booklet contains an easy to follow ‘Map through access’ showing how to get started, and how to make small adjustments to facilities, provide useful information on accessibility and understand the needs of disabled people. The map is perforated and designed to provide a means of recording progress. VisitEngland provides a number of tools and resources to help tourism operators accommodate people with access needs including the ‘At your service’ booklet, available to view and download now at www.visitengland.org/access.